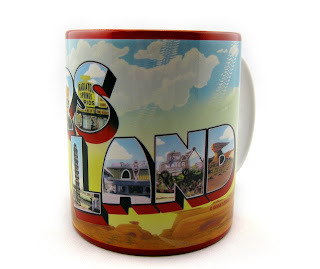 One of the souvenirs I picked up is this very cool Disney Parks authentic "Welcome to Cars Land" mug! 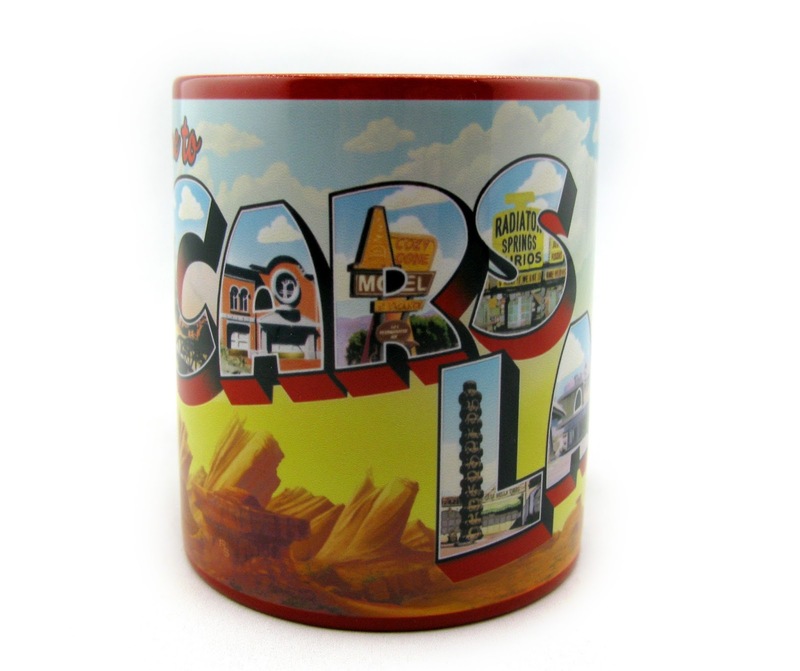 Each letter has an illustration in it featuring some of Radiator Springs' most iconic locations. 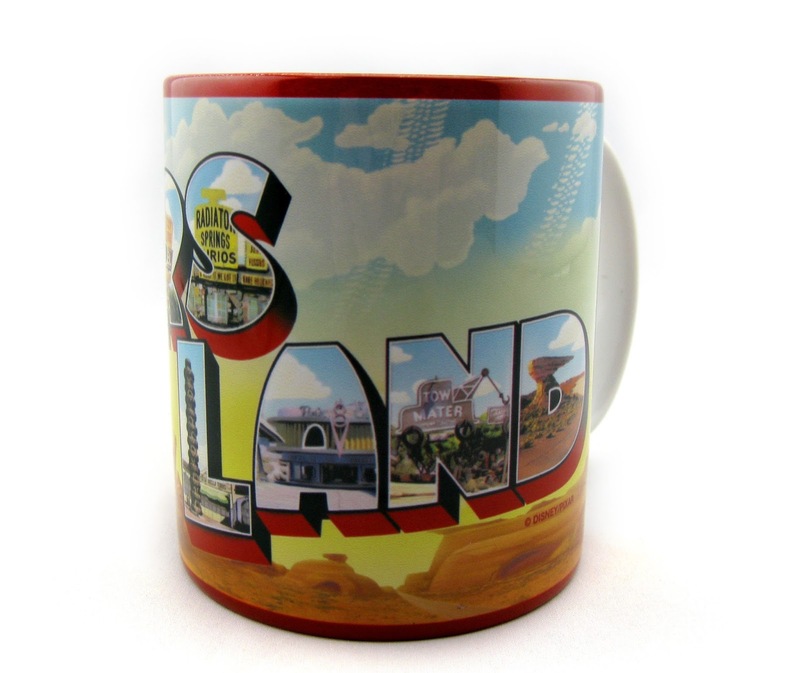 I love all the colors and overall design- especially the instantly recognizable "Willy's Butte" at sunset! 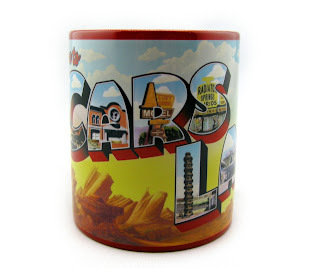 I thought this would look absolutely fantastic on display with my other Cars Land memorabilia. This high quality mug is dishwasher safe, holds approximately 12 oz. and retails (from what I remember) for about $14.95. Check out more of the mug in more detail below! 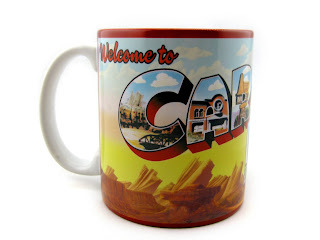 If you're interested in picking one of these up for your collection, you can find this at Disney's California Adventure park, eBay or Amazon using the direct link below. Please let me know if you have any questions or comments and be sure to check back daily for more from my Pixar collection!